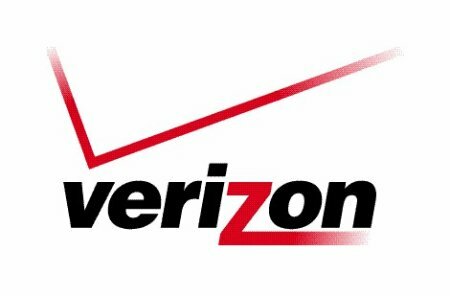 On our quest to try and provide you with as many different upgrade situations as possible that will allow you to keep your unlimited data plan after July 7, we may have another to add to the list. This is one of those that many of us sort of figured would be the case, but with rumors swirling about and no official mention in any of the pieces we’ve reported on, we weren’t 100% sure. 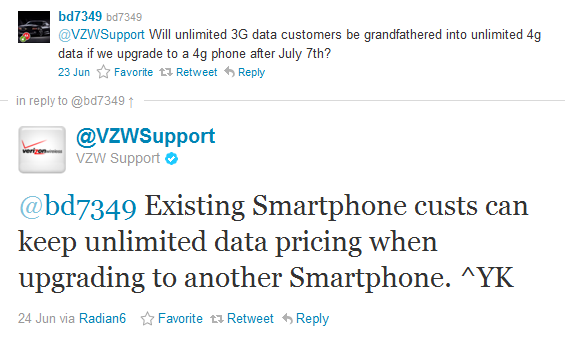 Well, according to @VZWSupport (the official Verizon support account on Twitter), if you are currently locked into a 3G unlimited smartphone plan and will more-than-likely jump to a 4G phone after the July 7 tiers begin, you will still be able to keep your original data plan. What we have to hope, is that this support account actually read that reader’s question correctly, but all signs point to this being the case. According to all of the information we brought to you first last week, 3G and 4G smartphone plans are exactly the same, so there shouldn’t be any issue going from 3G to 4G LTE and staying unlimited. People still wanted clarification though and we hope this has at least helped a little.